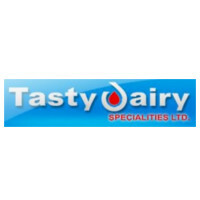 Tasty Dairy Specialities Ltd incorporated in 1992. Tasty Dairy is processing milk and providing in bulk to the marquee customers. The company has wide range of milk products like Liquid Milk, Cream, Butter (White/Salted), Pure Desi Ghee (Clarified Butter), Paneer (Fresh Cottage Cheese), Skimmed Milk Powder, Full Cream Milk Powder, Dairy Whitener, Instant Gulab Jamun Mix, Peda (an Indian Sweet), Mithai Powder etc. Brand & Market: The company is selling the products with the brand names like UJJWAL, VERIFRESH, CIMA, MITHAI MASTER, SHIKHAR in states like UP, Bihar and MP. Clients: The company has good client base like Delhi Milk scheme, Mother Dairy, Parle Products, Sterling Agro Industries Limited, Kwality Dairy Limited, Perfetti Van Melle etc. Tasty Dairy ipo is starting from 07 February and ends on 12 February. The price band is around Rs.45 with 3000 market lot. The ipo size is around 24.44 crore rupees. The grey market is around Rs.25000 Subject to Sauda.